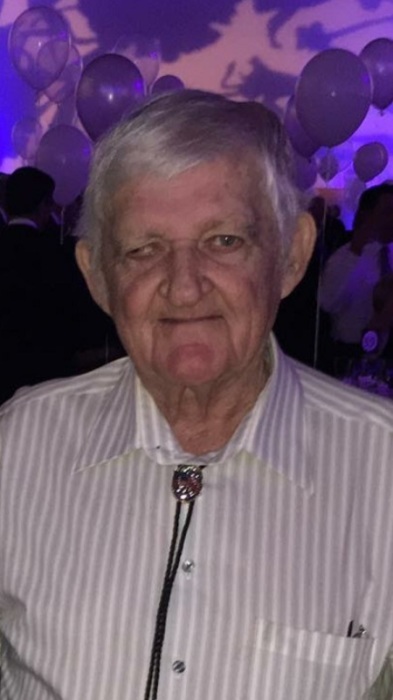 Charles “Chuck” Ogston, 79, lifelong Boise City resident, passed away early Monday, March 25, 2019 at his home. The son of Eilene Marie (Henshaw) and Charles I. Ogston, Charles Ivor Ogston was born January 24, 1940 in Duncan, Oklahoma. Chuck graduated from Boise City High School with the Class of 1958. He was united in marriage to Tommie Jean Eiland on March 10, 1959 at the Sunny Lane Methodist Church, Del City, Oklahoma. Chuck and Tommie Jean just celebrated their 60th wedding anniversary. Chuck was a farmer and rancher, and worked as a crop duster. He enjoyed flying, golfing, trap shooting (1965 State of Oklahoma Champion), motorcycles, go-carts, and flying remote control airplanes. He enjoyed doing these things with his family. His best days were those spent with his family. Through his sickness and cancer, Chuck continued to live his life big, telling his oncologist, “I’m no quitter”. He was a member of the Elk’s Lodge, AOPA and St. Paul’s United Methodist Church. Chuck is survived by his wife, Tommie Jean; daughter, Debbie Norfleet and husband, Chuck; son, Charles “Runt” Ogston, and wife, Janay; two sisters, Patty Jones and Linda Crocker and husband, Byron; two brothers, Mike Jones and wife, Judy and Robert Jones and wife, Betsy; and his bonus mother, Thelma Ogston; seven grandchildren and spouses, Robert Norfleet (Tonya), Lindsay Higdon (Matt), Jarrah Ogston, Ashton Moore (Craig), Kalob Haynes (Danielle), Katon Haynes, Katie Ledesma, thirteen great grandchildren, and a host of other family and friends. Chuck was preceded in death by his parents, Eilene Jones and Charles Ogston, his son, Billy Ross Ogston and his bonus father, Bill Jones. Funeral services will be conducted Friday morning, March 29th, 10:00 AM at St. Paul United Methodist Church with Rev. Randy Little, officiating. Interment will follow in Boise City Cemetery. Viewing will be at Henson-Novak Funeral Directors, Boise City on Thursday, 9:00-7:00 PM with the family present from 5:00-7:00 PM. Memorials may be given to St. Paul’s United Methodist Church or the Soutar Memorial Library, c/o Henson-Novak Funeral Directors, P.O. Box 1306, Guymon, OK 73942. Friends may sign the online guest book and send condolences at. www.hensonnovak.com.